Are you ready to learn something new while practicing sun salute A? Surya namaskar A (sun salutation A) is a very popular sequence—one that you’ll move through multiple times in almost any vinyasa class. In this members only course, you’ll learn variations and refinements that will turn your sun salutation A up a notch. This all-levels course is for first timers and yoga veterans alike—anyone who wants to learn to move through this core vinyasa sequence with more clarity and confidence. Teachers will also learn variations and adjustments to offer to their students. 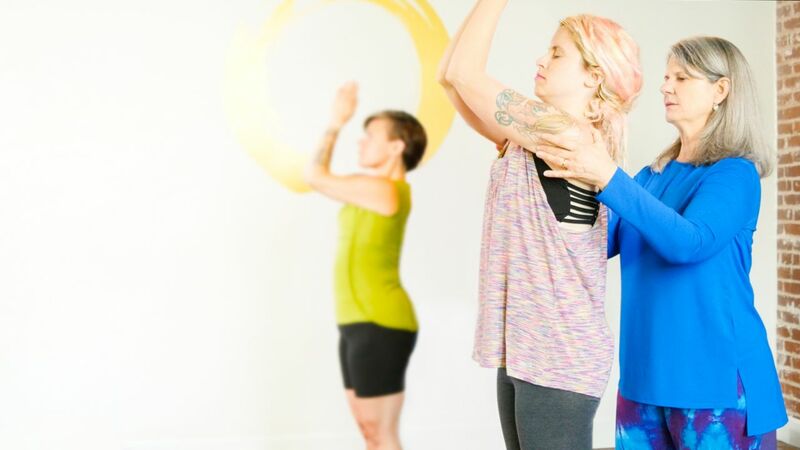 Practice along as OM Yoga founder Cyndi Lee leads you through different variations of sun salute A. She’ll show you innovative ways to incorporate props, helpful “yoga tricks” for customizing your practice, and fun and supportive partner assists to try. You’ll also learn clear, precise alignment for each pose in the sequence, the difference between a pose and an action, and useful tips for making sun salute A more accessible. Easy-to-follow demonstrations of sun salute A at basic, intermediate, and advanced levels. Breakdowns of hands-on adjustments yoga teachers can use to help transition their students from pose to pose. Creative ways to incorporate props such as blocks and straps into your sun salute. How to grow a jump from the ground up so you can play with your jump back to chaturanga and jump forward from downward facing dog. Partner exercises that will help refine your jump back to chaturanga. A basic anatomical understanding of the actions of the arms and legs in sun salute A and how these same actions come into play throughout the rest of a yoga practice. Cyndi’s “secret toe movement” to help keep the shoulders and wrists aligned during upward facing dog. 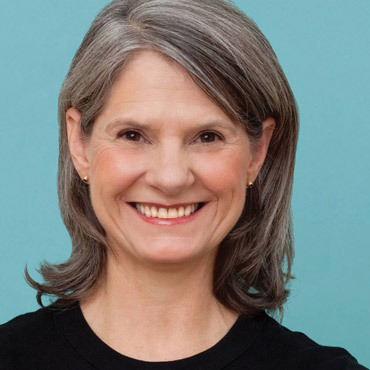 Cyndi Lee has been teaching yoga since 1978 and leading teacher trainings since 1997. Founder of OM yoga and owner of Yoga Goodness studio, she is considered an authentic, approachable, and relatable teacher with a wealth of knowledge about yoga and meditation to share. Cyndi is the author of “Yoga Body, Buddha Mind” and “May I Be Happy: A Memoir of Love, Yoga, and Changing My Mind.” A practitioner of both hatha yoga and Tibetan Buddhism, she has been been featured on ABC’s “Good Morning America” and other television shows as well in as numerous publications such as The Wall Street Journal; The New York Times; Vogue and Time Out.